Extra Rails adds five additional rails. The Locking Rail holds the cart on it in place until it receives a redstone signal at which point, it propels the Minecart in the direction it is facing. The Direction Rail acts like the Golden Rail but it only propels carts in the direction it is facing. The Teleporting Rail teleports Minecarts on it to the other teleporting rail it is connected to. To link Teleporting Rails, open the GUI by right-clicking on them and use the 3 color selectors to pick a frequency for the rail. Do the same for the other Teleporting Rail and Minecarts will be able to teleport back and forth. Note: If there are more than 2 Teleporting Rails on the same frequency, the destination may be random. Other rails are listed on the new wiki. this mod is bugged: if i place rail and place second rail, visualy he dont connected , but logicaly connected! i think this caused by using facing for rails, because normal rails dont using block facing!!! If your mod has a dependency, then put somewhere that it does. I had no idea I needed your "shadowcore/shadowmc/shadowlib mc" until my server crashed when trying to boot. "Relations" tab -> Dependencies ? This has not been updated since it's beta file 6 months ago. I would like to include it in my next modpack, but would like to see a final version before locking it in. The current 1.12 version is very stable and there is unlikely to be another version of Extra Rails before 1.13. My only concern is that it is still listed as "Beta" so will it still sync across curseforge? I've been looking around and haven't found the answer to my question directly so I just wanna ask. It basically takes, cart on the rail and does what that particular rail does doesn't it? It should theoretically work, however, I haven't done any testing with the other mods you mentioned. Awesome! I haven't either just putting together a list of mods that I think are worth working with. I have another question if you don't mind me asking since it's completely unrelated. I've noticed a couple of trends about the Minecraft modding community that has led me to believe that the next big platform shift will be to 1.12 once a few of the kinks are worked out. Can you tell me if there's something to it? And if so how close are we to that transition? Or if 1.12 will be the next 1.7.10 / 1.10.2 at all? I can't speak for the modding community as a whole, but only for myself. I've ported all of my active projects to 1.12, I intend to no longer update 1.10.2 and 1.11.2 versions, and all new mods I make will be for 1.12. Fair enough, I have the feeling that many of the developers have been waiting for 1.12 and forge to become stable together. Appears it has.. Thanks for the info..
Any plans to implement a simple cart-linking system in this mod? 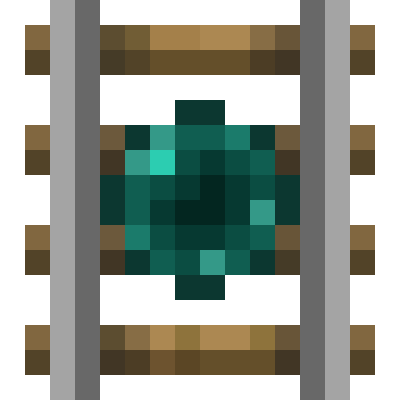 With this this mod is everything i need, and an updated alternative to RailCraft. Is this mod coming to 1.12? Yes, I'm currently in the process of porting all of my mods.